Our photo solutions are used by major attractions world-wide. Find out why. Create an interactive, immersive guest experience with exciting photo products. Photamate makes it easier than ever before. Speed, flexibility and a suite of tools unparalleled by any other solution. Point and shoot. Photamate handles your photo work flow so you can concentrate on what’s important; the guest experience. Photamate Pro software automates the process of creating hot-selling photo products for event photographers, museums, exhibitions and attractions with amazing flexibility, speed and efficiency. Native tethering, automatic editing, bar code association, customer preview modes, lenticular, amusement effects, digital fulfillment and more. 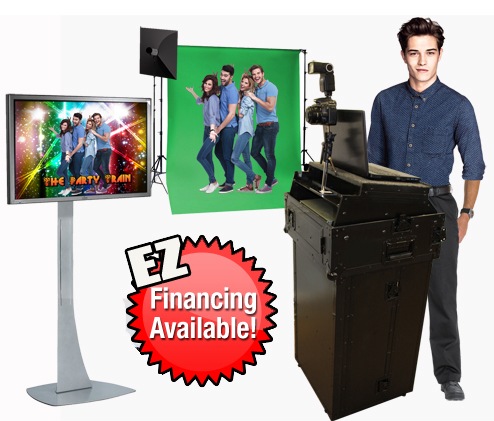 <style=”text-align: left;”>Don’t need all of the power of an event solution but still want to produce great green screen photos? 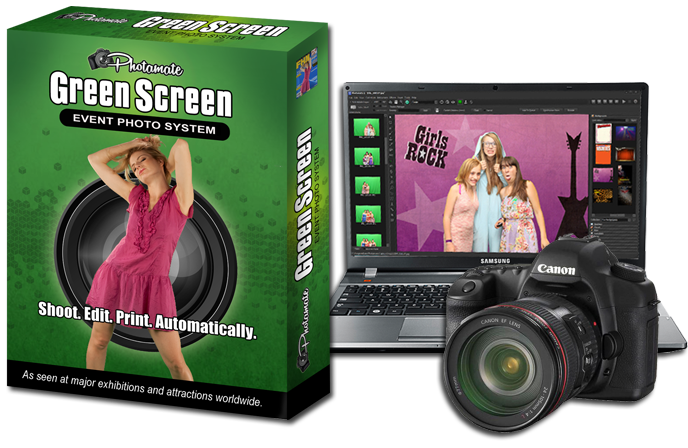 Photamate Lite combines green screen keying with an intuitive and easy-to-use interface. 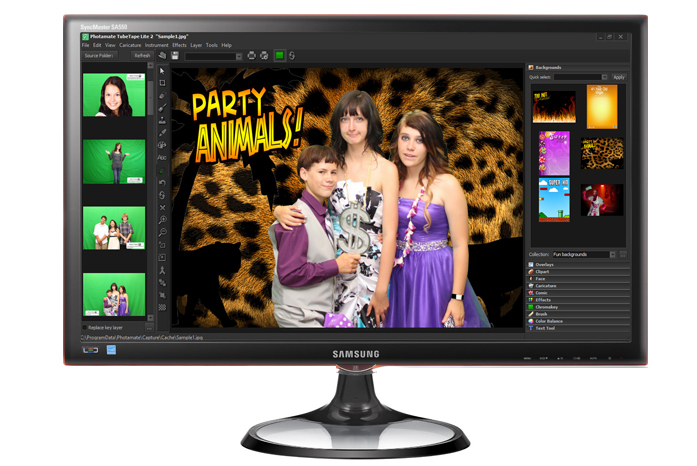 Choose a default background and overlay set and swap out just the green screen source image for super-fast processing. Point to a hot folder for instant visual access to your source photos within a clickable thumbnail panel. Add text, apply a variety of filters, or choose from a variety of included backgrounds and overlays. <style=”text-align: left;”>Upload your events and individual customer photo sessions automatically to your very own eCommerce site. Offer prints and digital downloads to your customers after the event! Synchronizes Photamate sessions and automatically creates access codes with just a few clicks. This is not a fee-based service; you own the store and provide your own payment processing and fulfillment. Full shopping cart module designed specifically for online photo sales supports Authorize.net, Paypal, and others. We’ll install on your web host and create a custom landing and search page branded for your business. 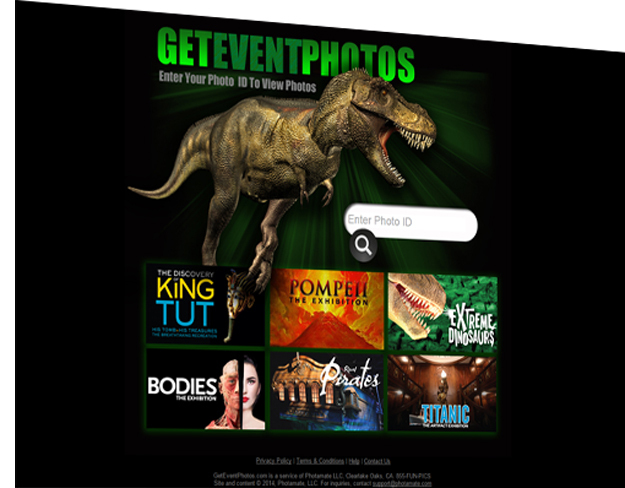 For a demo of the customer interface, go to www.geteventphotos.com and enter photo ID demo123. Introducing Photamate Turn-key Event Photo System! Interested in implementing a photo op at your attraction or exhibition? We can help. Our all-new turn-key event system is available in either ultra-portable or rolling configurations. Starting a home-based business? Contact us to find out why event photo services are an amazing money maker. No photography experience necessary! Inquire today.